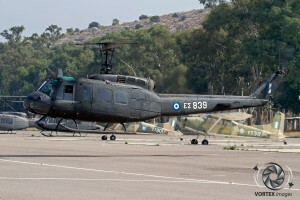 Situated along Highway 8, just west of Athens, is the Hellenic Army Aviation’s main transport helicopter base Megara. 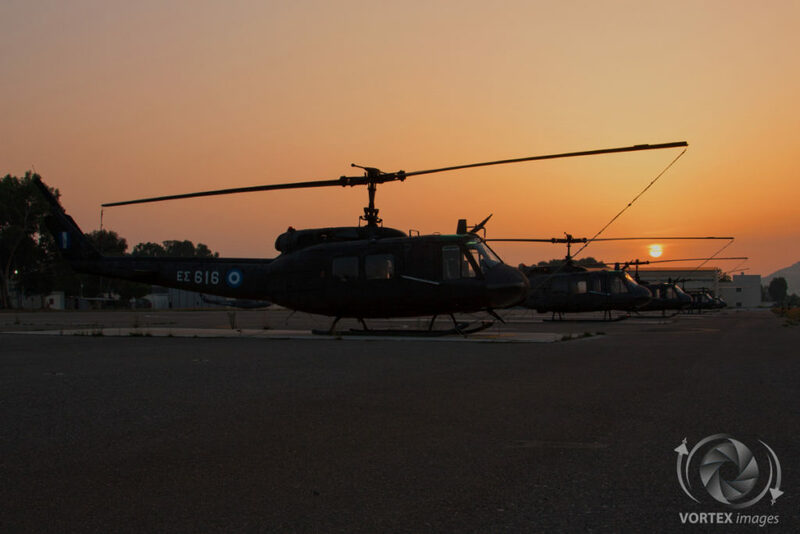 This airbase is the home of the 2nd Army Aviation Group which consists of two helicopter battalions, the 2nd TEAS and the 4th TEAS. 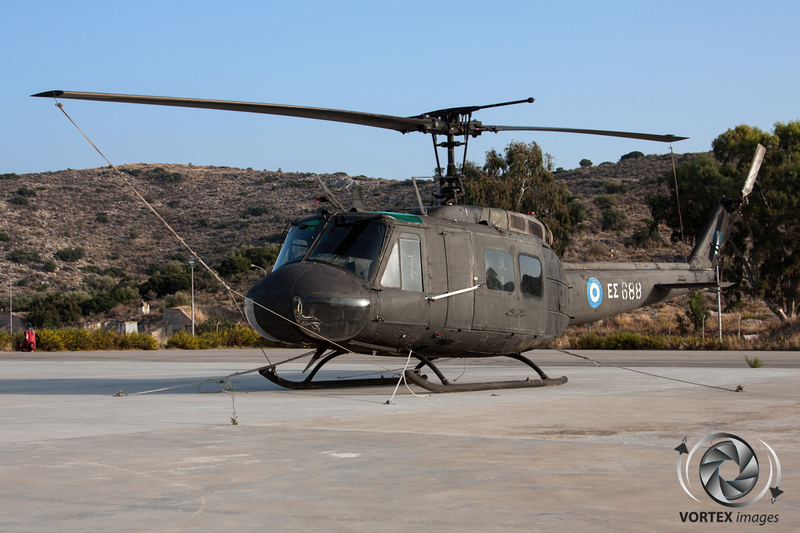 Next door to the Army in Megara is the home base of the newly created Fire Department Aviation Brigade. 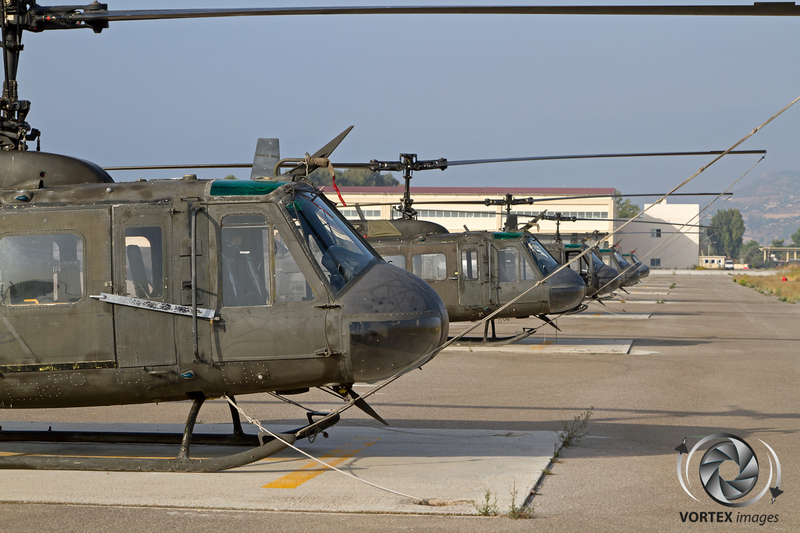 The Army Aviation service was formed in the 50’s and initially made use of fixed wing aircraft such as the L-21 Piper Cub. The main task of these small aircraft was artillery spotting. 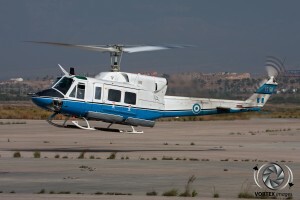 These were later supplemented by Bell 47 helicopters for light transport duties. 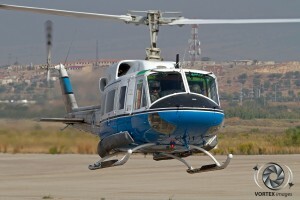 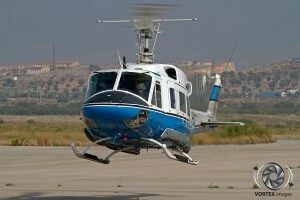 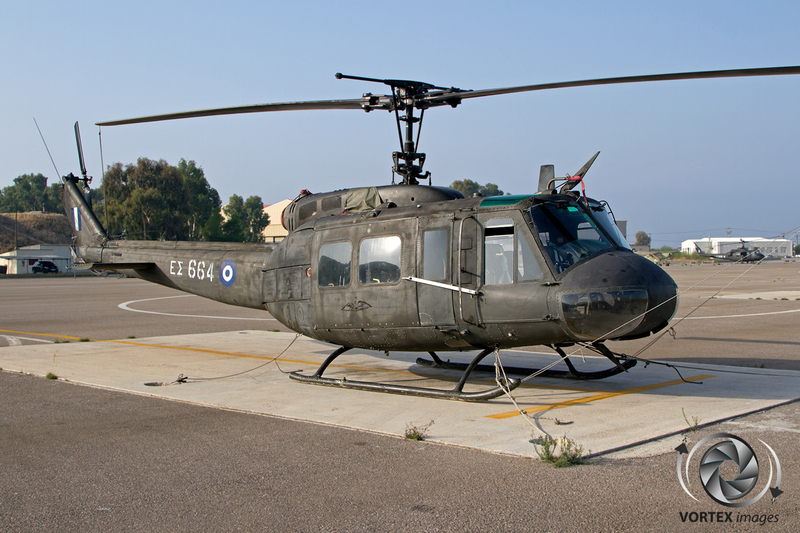 In the 60’s the first “real” helicopters were acquired in the form of the Bell UH-1H Huey. 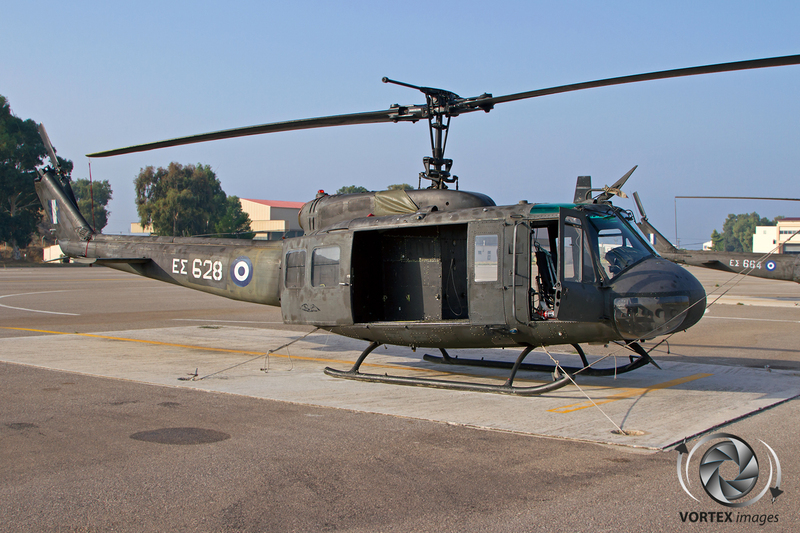 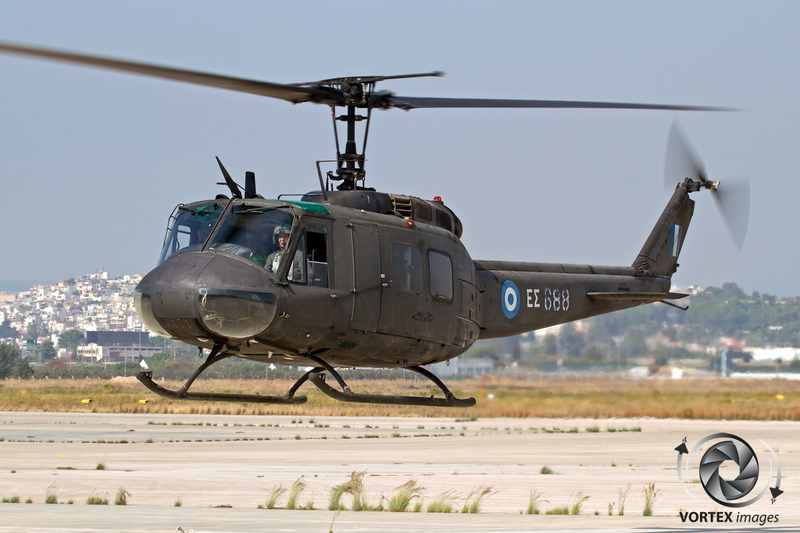 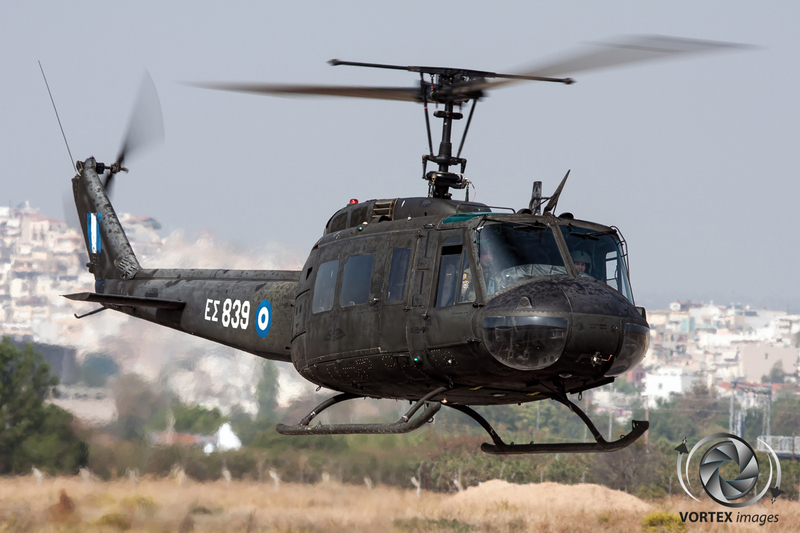 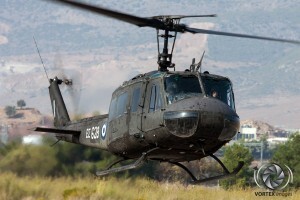 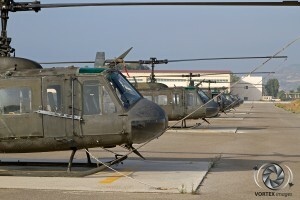 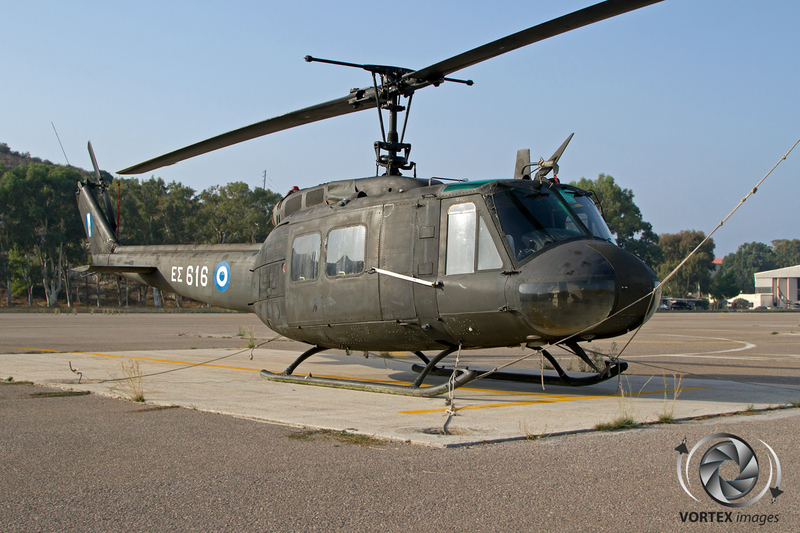 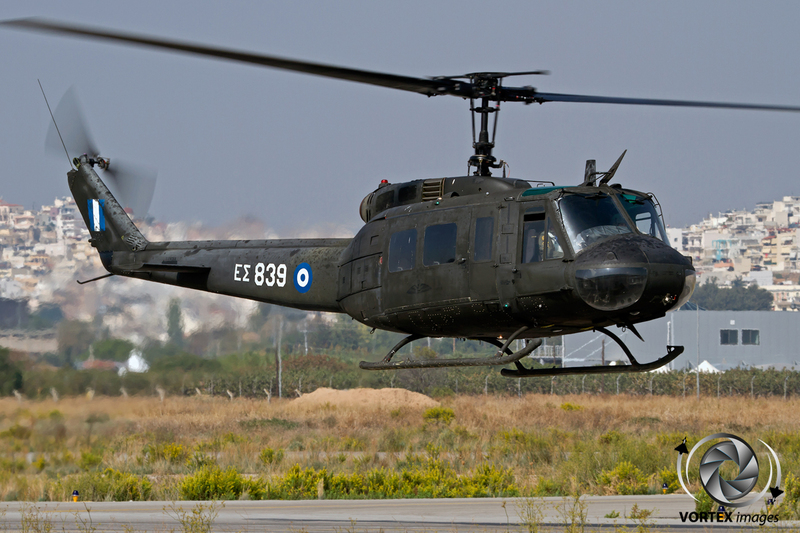 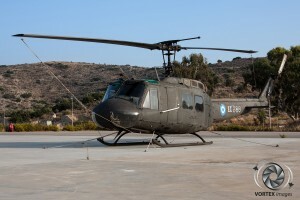 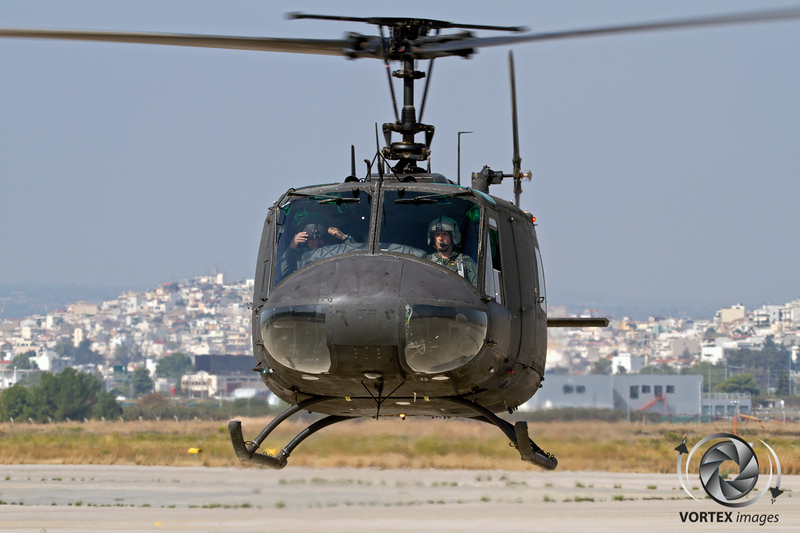 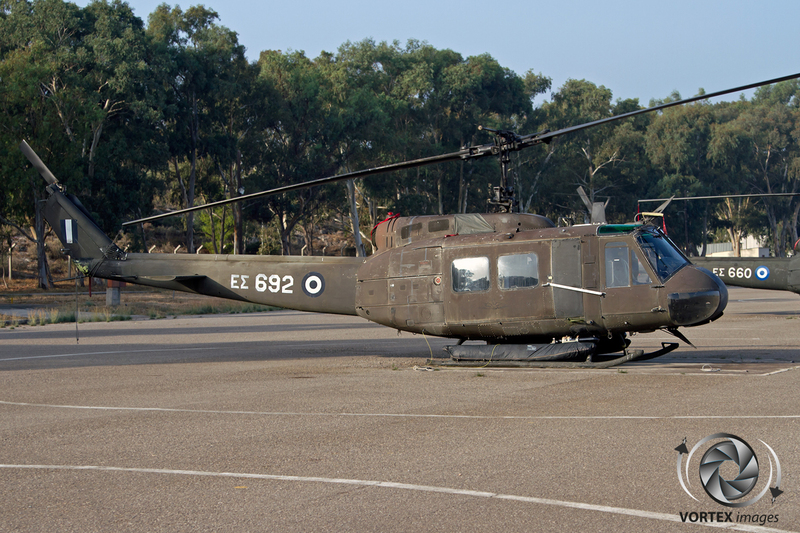 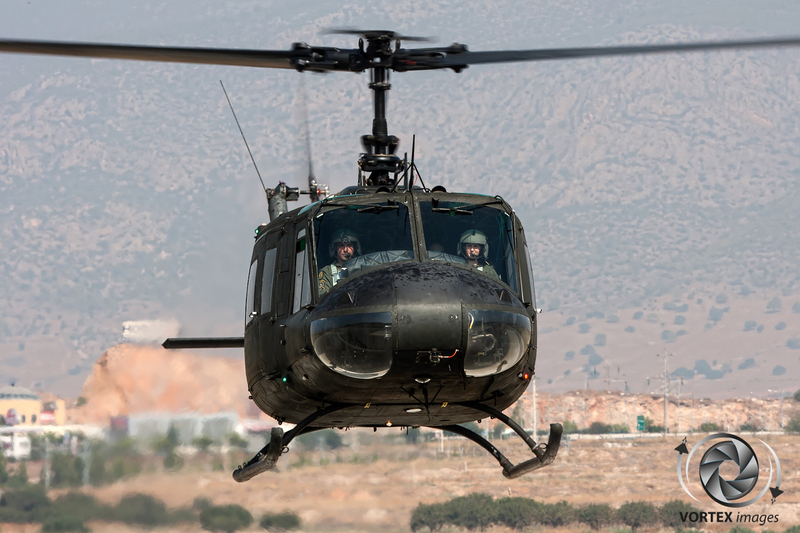 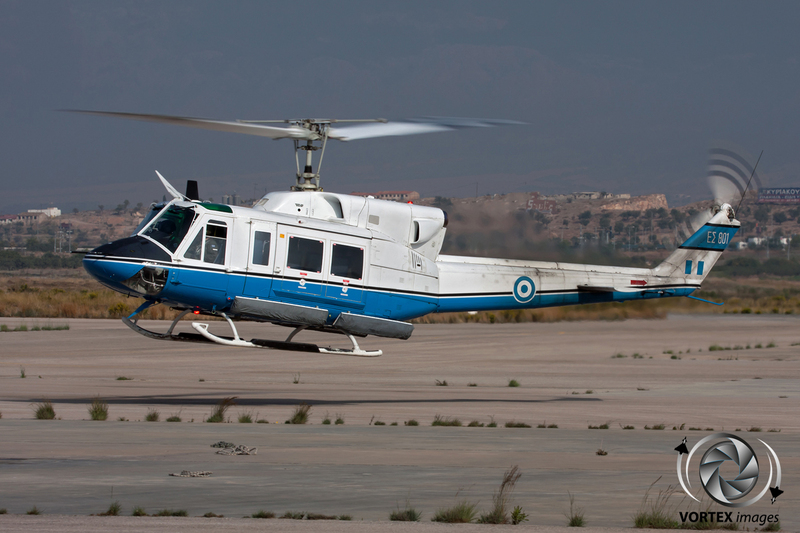 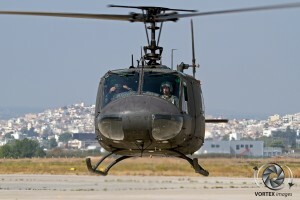 From the moment the UH-1 came into service with the Hellenic Army, the capability of the Army Aviation increased to a level which was much better suited to a country of Greece’s size. 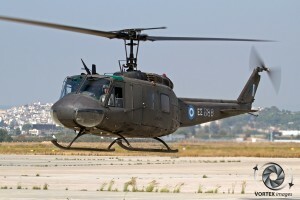 The initial batch of UH-1s was later complimented with additional airframes, along with a number of the similar Agusta Bell AB205A Huey. 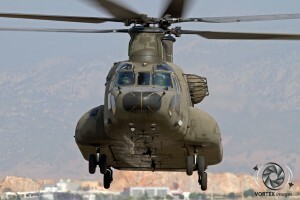 In 1981 the CH-47 was ordered. 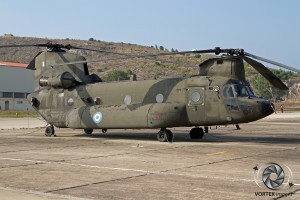 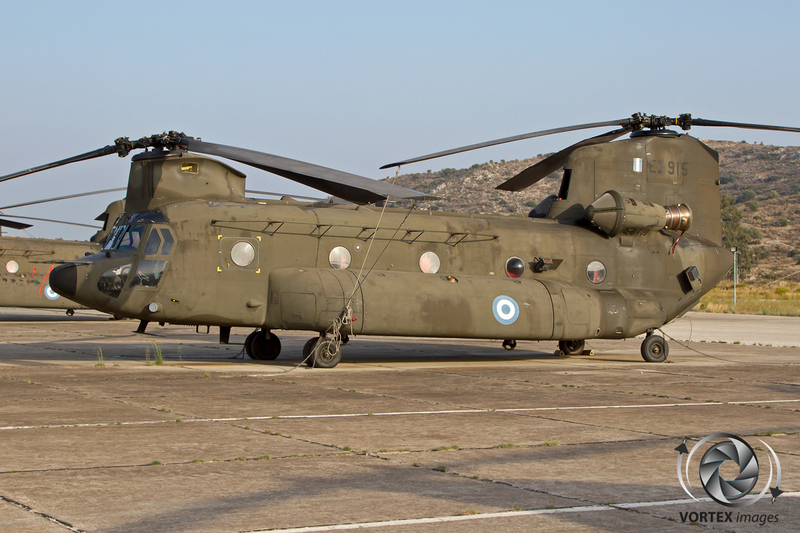 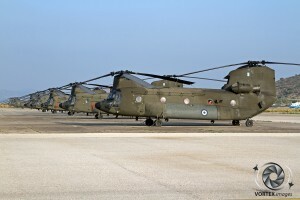 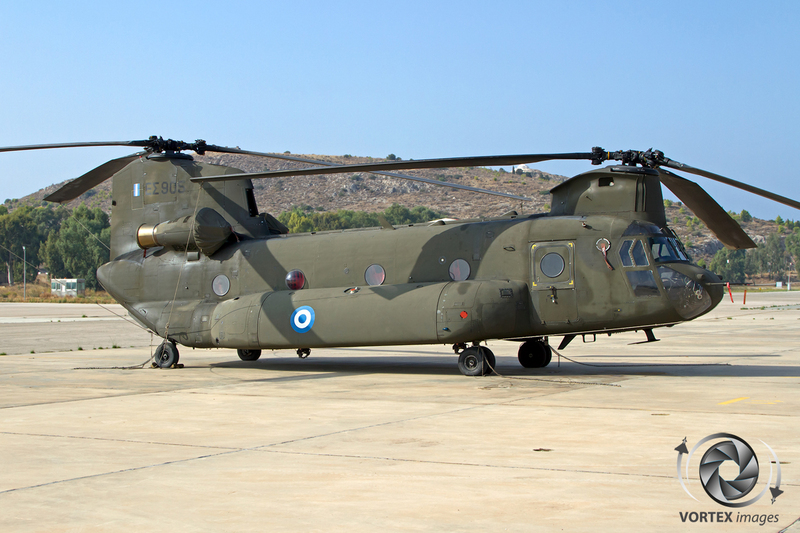 Initially these CH-47Cs had been meant for Iran, but due to the Iranian revolution these were transferred to Greece. 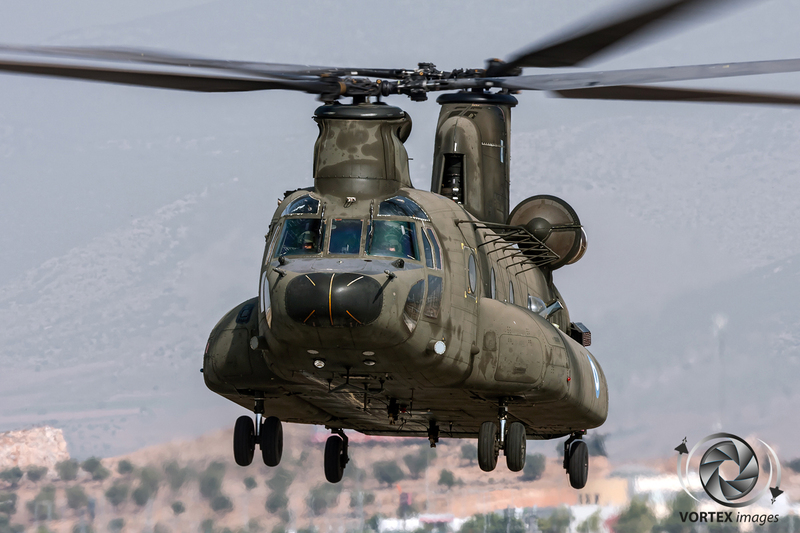 From 1994 the Army started to modernize, with the Chinooks being upgraded to CH-47DG standard, and supplemented by new build CH-47SD’s. 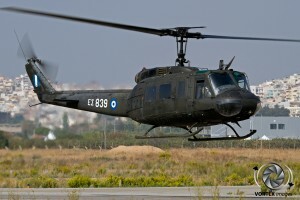 The Hellenic Army also received their first attack helicopter in the form of the AH-64A Apache. 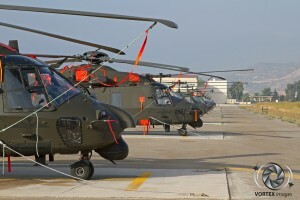 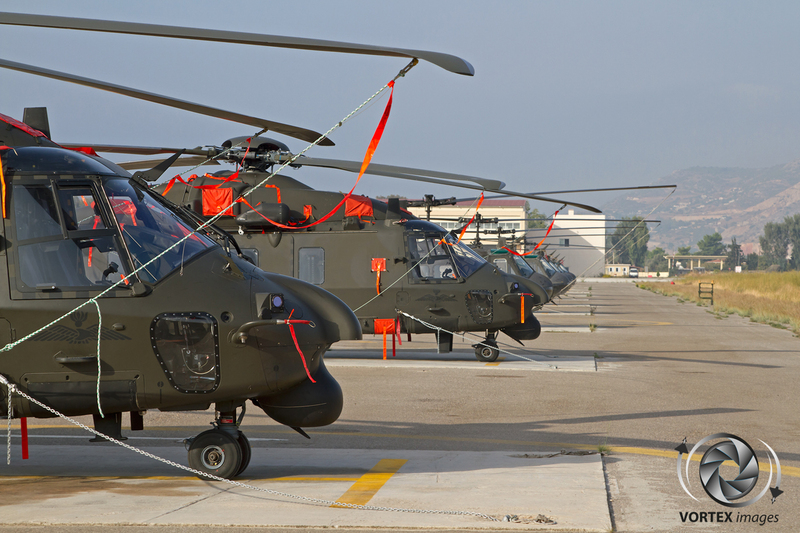 In the last decade, the Hellenic Army have continued the modernization process by obtaining AH-64D Longbow Apache’s, and most recently by purchasing the European built NH-90TTH transport helicopter. 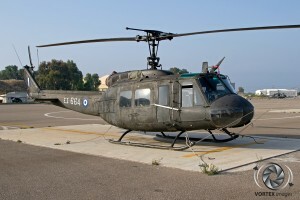 As mentioned earlier, one of the units Megara houses is the 2nd TEAS. 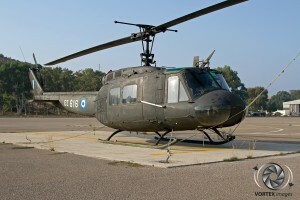 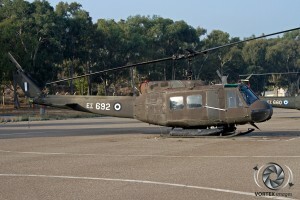 The 2nd TEAS is equipped with the legendary Huey, which still serves the Army well. 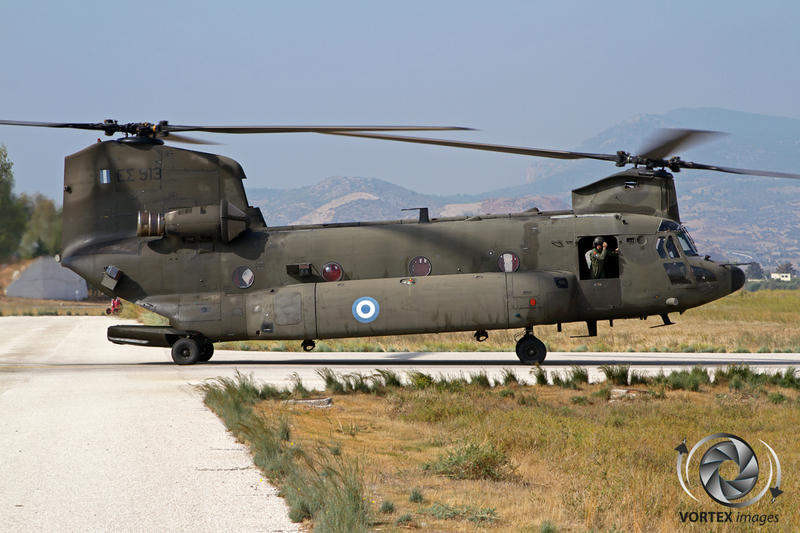 The main task for this reliable workhorse is troop transportation and CSAR. 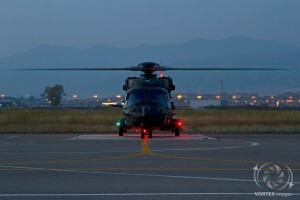 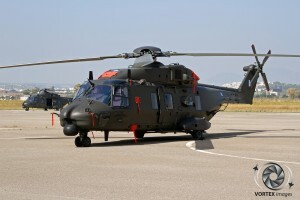 Alongside the Huey, the 2nd TEAS also operate Greece’s newly acquired NH90s. 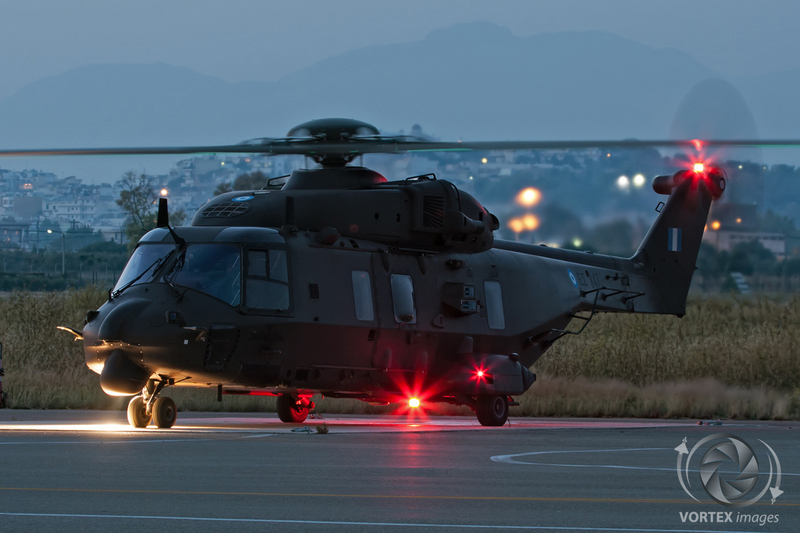 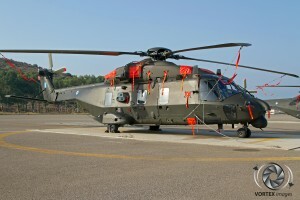 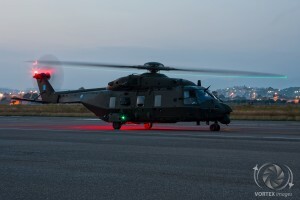 Eight of the 20 ordered have been delivered so far, and Greece has options for a further 14 NH90s, although no funds are available at the moment for these additional options. 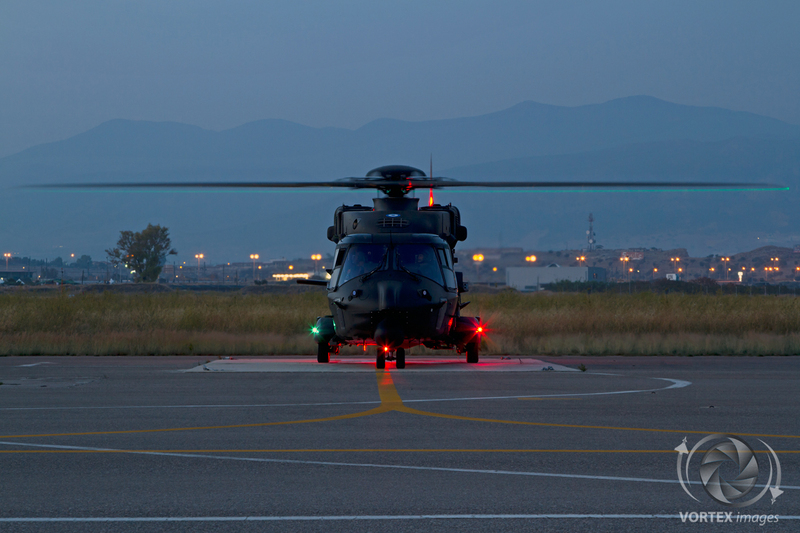 Like all NH90 operators, the Hellenic Army struggles with the problems experienced when operating a brand-new type. 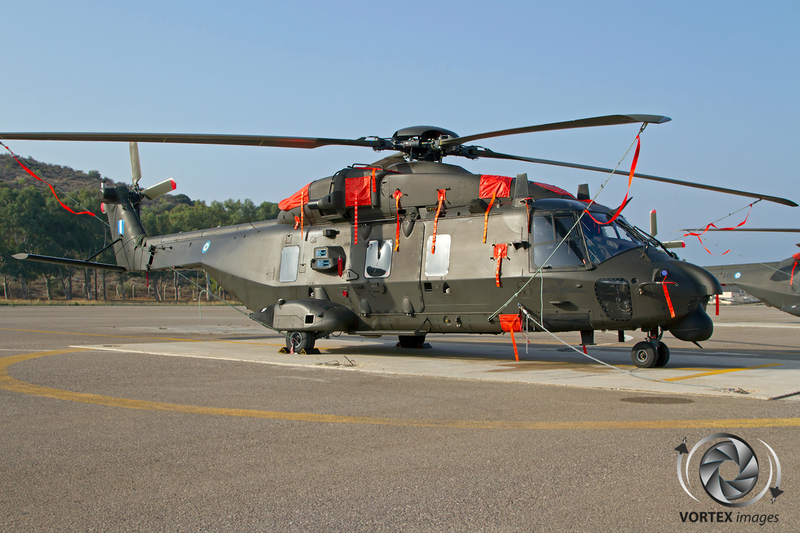 To counter the problem of corrosion from the salty sea air, the NH90s are washed after each flight. 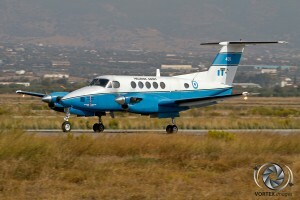 This appears to be effective, as no corrosion has been detected as yet on the Hellenic aircraft. Next to the helicopter fleet, the 2nd TEAS also operate the Cessna U-17 Skywagon for light transport duties and Artillery spotting. 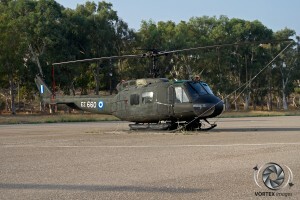 The other battalion based at Megara is the 4th TEAS. 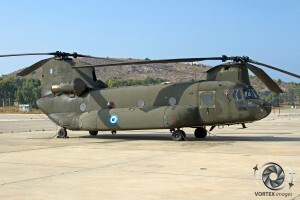 This unit operates the CH-47 in both the DG and SD variants. The main difference between the two variants is the weather radar that is housed in the nose of the CH-47SD. The Chinook performs heavy duty transport within the Army, and is also a platform from which paratroopers jump into action. 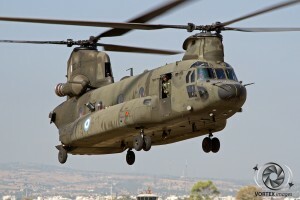 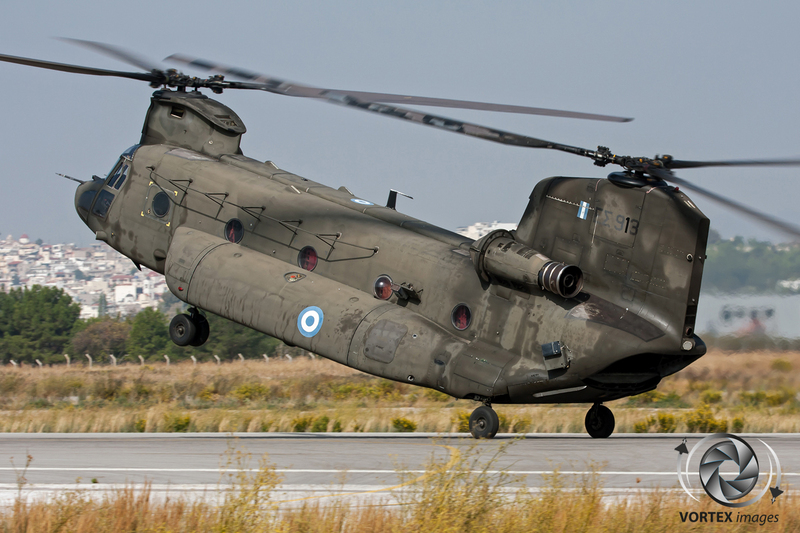 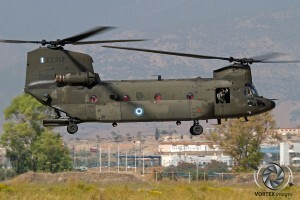 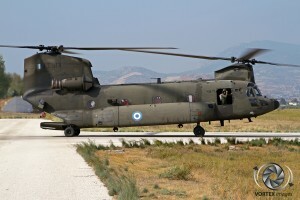 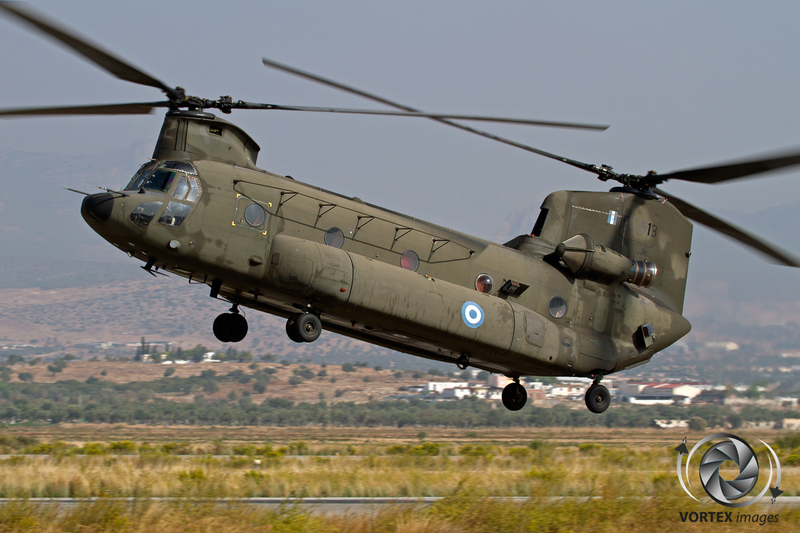 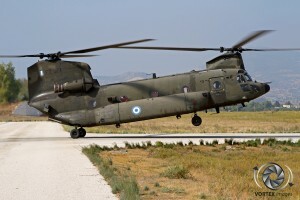 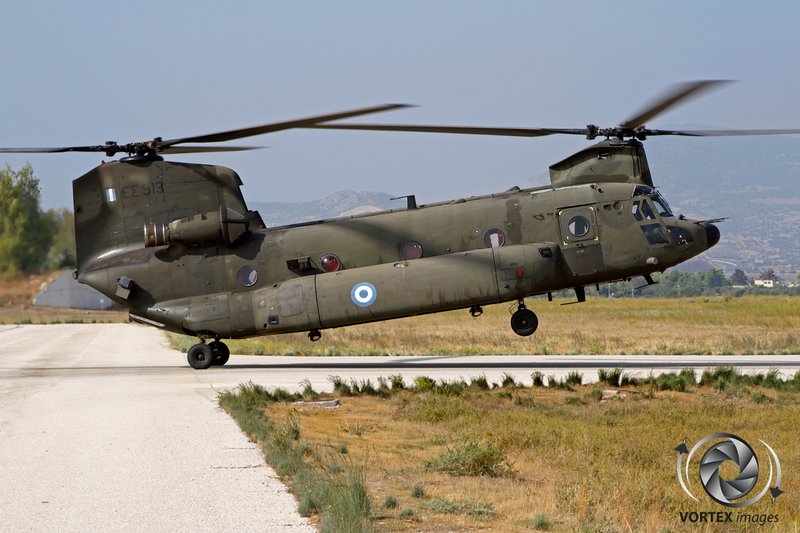 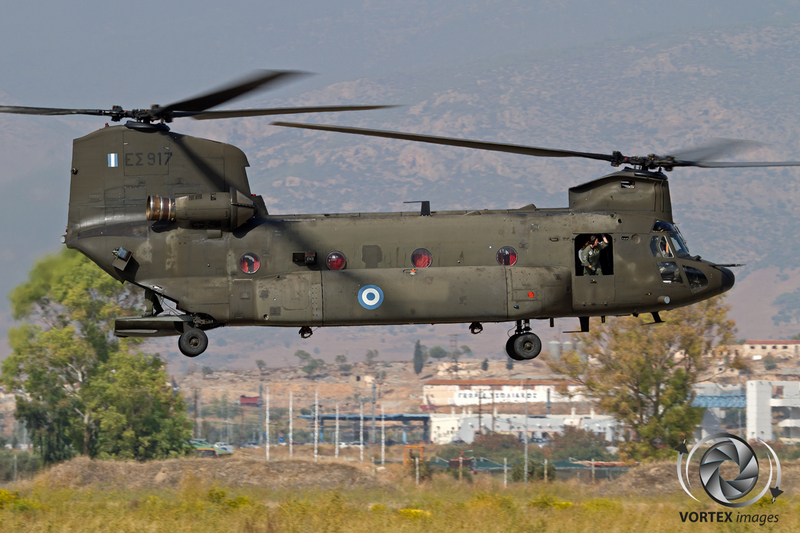 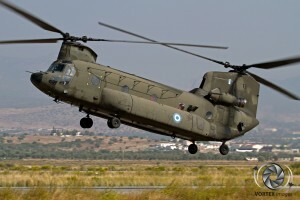 During the summer months the CH-47 becomes a firefighting helicopter used to counter the ferocious fires that can terrorize the Greek countryside. The crews are very proud of their firefighting role and affectionately call their beloved Chinook “The Fire Strangler”. 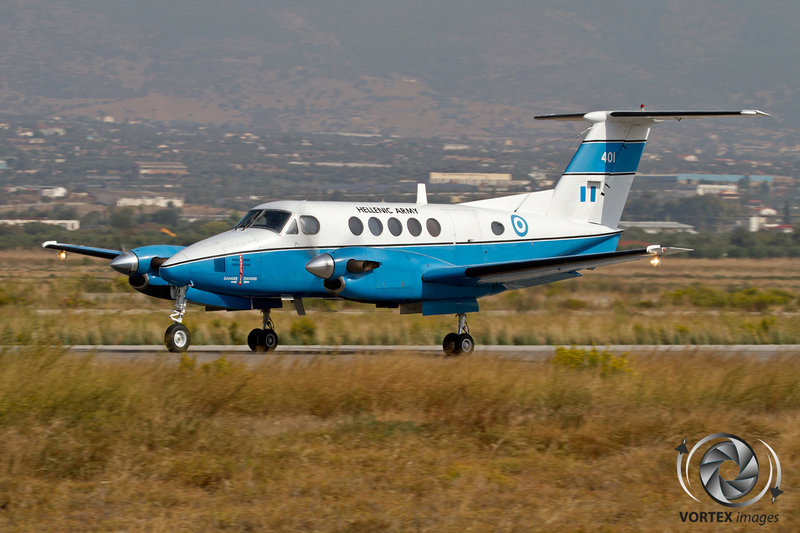 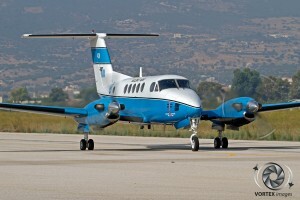 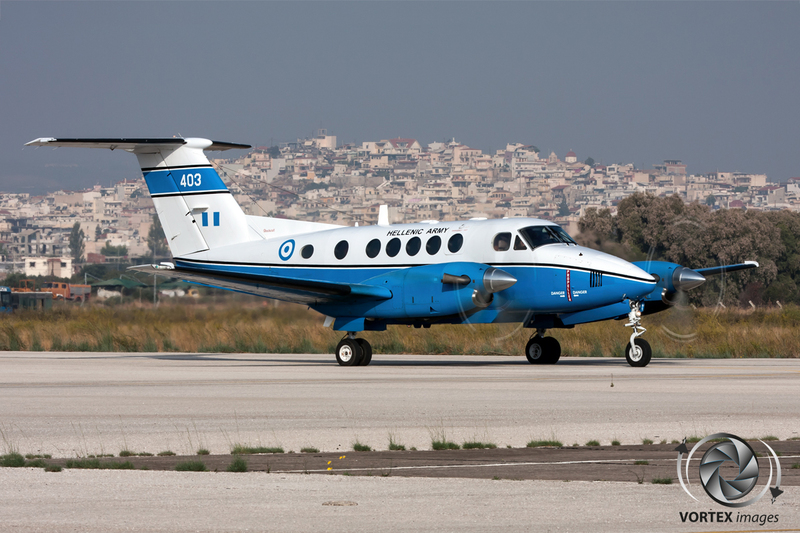 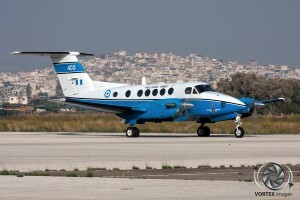 The 4th TEAS also performs a VIP and observation/mapping task with a single Bell 212 for VIP transport, and three Beechcraft C-12’s for both VIP and observation/mapping duties. We would like to thank the Hellenic Army HQ, the Hellenic Army Spokesman, Colonel George Matzouranis, Master Sergeant John Kyparisis and all the Hellenic Army personnel involved for their great support and hospitality.